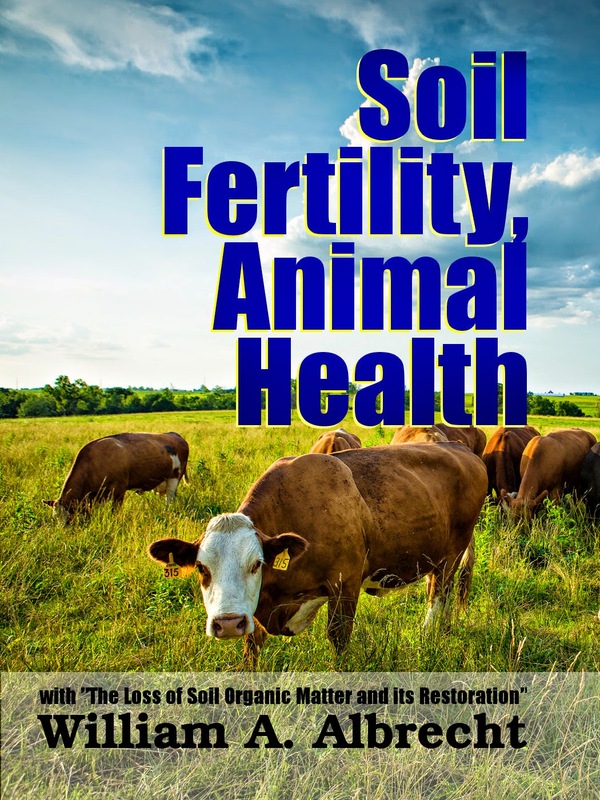 New Release: William A. Albrecht's "Soil Fertility, Animal Health"
Nature works and has been working for a billion and a half years—ever since there were living things on earth. This is important. We talk of controlling nature, but any wise farmer or stockman knows that nature makes the rules for us to learn and follow, if we can. In short, the ecologist is in a position to furnish us, in many ways, models which we can follow in our own operations. How well do we follow it in our own operations? Do we plan for groups of dry years, or act as though the moist ones would last forever? Do we plant good mixtures, including legumes, in our pastures? Do we replace minerals removed by crops and live stock? Do we allow live stock to make its own free choice of a variety of forage, feed and minerals placed before it? These are some of the points Dr. Albrecht is thinking about in the series of papers which follow. It takes a lot of common sense to get across the information we need. He has it and can put it out so we can all understand it. William A. Albrecht (d. 1974) wrote extensively. "Soil Fertility, Animal Health" was compiled by the editor Charles Walters from his papers and was first published in 1958. As no record of renewal of copyright was found for any of Albrecht's work, they are in the public domain. Thanks for the healthy post. Always belive in nature.